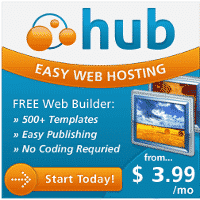 Web Hosting Hub is the company that I utilize and recommend for hosting. That is where this site has been hosted all along and I have been a very happy customer for the last 5+ years. They provide a free domain, ultra-fast SSD hard drives (20x faster) and they will even Auto-Install WordPress for you for free, if desired. Their customer support is excellent and responsive, which is so important in the event you run into any snags along the way. 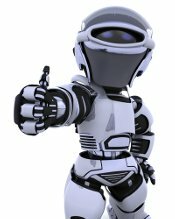 Special Offer: I negotiated a special discount, specifically for NicheSiteTools customers, that will provide you $1 off hosting each month for the entire length of your initial sign-up. I highly recommend the Spark package at only $3.99/month. I also highly recommend choosing the longest term possible, since that will result in the lowest price per month. 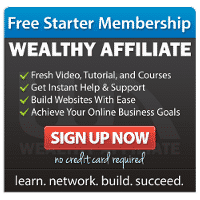 My affiliate commission is the same, whether you sign-up for 1 year or 3 years, so trust me when I say the longest term is always the best one to go with. If you are looking for a month-to-month hosting plan, I recommend HostGator. You will always end up paying more over the long term with monthly hosting, however HostGator is the leader in low-cost, monthly options with no long term commitment. If you sign-up for HostGator through my link and utilize coupon code “nichesitetools”, you will get your first month of web hosting for only 1 penny. That is an amazing deal and a great way to get started with no risk. For domain registration I highly recommend NameCheap. They provide consistently low prices, that include privacy protection and are approximately the same for both sign-up and renewals, which is key. Most domain companies entice you with low fees for new domains, but then jack up the prices and end up charging 5-10x more for renewals, NameCheap does not. I definitely recommend keeping your domain registrations separate from your hosting provider. After you get setup with your web hosting account, be sure to check out my resources page for essential information and tools to help you hit the ground running. In full disclosure, the links contained on this page are affiliate links and I will get a commission, at no additional cost to you, if you sign up through my link. In most cases, you will actually receive a nice discount. If you have any questions at all regarding the services mentioned above, please email me or leave a comment and I will be get back to you right away. Thanks for your support and good luck with all of your online adventures!